“Each year, almost four thousand women in Israel are diagnosed with breast cancer. Most of these women will recover, thanks to modern treatment combining surgery, radiation therapy, chemotherapy, and innovative biological therapies. Regretfully, about one thousand women die every year.“ — Dr. Tanir M. Allweis, Director, Breast Health Center. The Sarah Markowitz Breast Health Center was dedicated in January 2010, and is considered among the most advanced centers in Israel. The Center operates as part of The Oncology Institute headed by Dr. Noa Efrat Ben Baruch. Its uniqueness is that it provides comprehensive care by experts in a variety of disciplines involved in diagnosing and treating breast cancer as well as benign breast conditions such as cysts, fibroadenomas, and mastitis. This special care is designed to be a “One-Stop-Shop”. Comprehensive imaging exams, biopsies if needed, and consultations with surgeons can all be performed during one visit to the center. Services provided at the Center include doctors' examinations, mammography, and complementary exams such as ultrasound and biopsies. The Center has sophisticated mammography equipment, which enables electronic information collection and storage and image interpretation by means of digital screens, which reduces the need for repeat scans. The Center also operates a new mammotome device which enables mammography-aided high-precision biopsies. A special tracking clinic for high-risk women is staffed by gynecologists and oncologists. Initial consultations with oncologists and plastic surgeons are also available. Dr. Tanir M. Allweis, Director, Breast Health Center, a graduate of Hebrew University School of Medicine, is a general surgeon with sub-specialization residencies in oncological and breast surgery done at cancer institutes in Maryland and Washington. She practiced surgery at Hadassah Medical Center in Jerusalem until last year. Currently we perform around 700 imaging exams monthly, including mammograms, biopsies and pre-operative localizations. 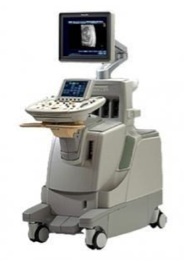 Although mammography remains the mainstay of early diagnosis and assessment of breast cancer, breast ultrasound is often needed as an adjunct to mammography for women with dense breast tissue. 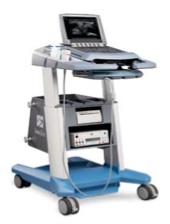 A comprehensive ultrasound exam takes about 30 minutes and is the primary cause of “bottleneck” in patient flow. Routine ultrasound exams are currently being scheduled 3 months in advance, and the in-house waiting time for an ultrasound often exceeds 3 hours when complications arise. As many as 50% of breast tumors are not palpable at the time of diagnosis, requiring pre-operative localization. Standard practice today involves painful insertion of a wire under local anesthesia with ultrasound guidance, leaving the probe wire protruding from the breast. This complicates the whole procedure of pre-surgical preparation and of the surgery itself because the growth needing removal is not directly visible to the surgeon.